Saint Patrick’s Day, also known as the Feast of Saint Patrick, is a religious and cultural celebration largely associated with Ireland. It is observed on March 17, the traditional feast day of Saint Patrick, Ireland’s foremost patron saint. Saint Patrick was a 5th-century Christian missionary and bishop. Born in Roman Britain, he was captured by Irish pirates at the age of 16. He lived in Ireland as a slave for six years before escaping. After becoming a cleric, he returned there as a missionary. According to legends, Patrick banished all snakes from Ireland and spoke with ancient Irish ancestors whom he met during his evangelizing journey. 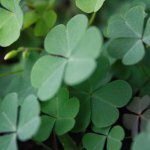 The best-known legend about Saint Patrick credits him with using the three-leafed shamrock plant to illustrate the doctrine of the Holy Trinity to the pagan Irish. As Saint Patrick is the foremost patron saint of Ireland, shamrock has become a symbol of Ireland as well as an essential element of Saint Patrick’s Day celebrations. Saint Patrick’s Day was included on the list of official Christian feast days in the 17th century to commemorate the arrival of Christianity in Ireland. Over the years, it has become the celebration of Irish culture and heritage in general. March 17 is an official public holiday in the Republic of Ireland, Northern Ireland, Montserrat, and the Canadian province of Newfoundland and Labrador. In Ireland, Saint Patrick’s Day is regarded as the country’s national day. It first became an official public holiday in 1903. The day is marked by numerous parades held throughout Ireland. In the mid-1990s, the government of Ireland set up the annual St Patrick’s Festival to showcase Ireland’s unique cultural heritage. The festival takes place in Dublin on and around March 17. Thanks to the Irish diaspora around the world, Saint Patrick’s Day has become the most widely celebrated national festival on the planet. The most colorful celebrations take place in the countries with significant Irish population, including the United Kingdom, United States, Canada, Australia, New Zealand, Argentina, and Brazil. Devout Catholics may attend mass or service on Saint Patrick’s Day. For those Christians who observe Lent, restrictions on eating rich foods and drinking alcohol are lifted on the occasion of the holiday. Non-religious people generally celebrate the holiday by attending parades, festivals and céilithe (Irish social gatherings with music and dancing), wearing green clothes and/or sprigs of shamrock, and drinking Irish beer and whiskey. Interestingly, Saint Patrick’s Day celebrations are popular even in countries that have very few to no Irish immigrants, like Russia or Japan. These celebrations are usually organized by Irish embassies, consulates and cultural centers to promote Irish culture. In addition, many bars, pubs, clubs and restaurants hold themed parties for additional profit. Despite (or maybe because of) their immense popularity, Saint Patrick’s Day celebrations have been criticized for their commercialization and tackiness, association with alcohol consumption, straying from the holiday’s original purpose, and misrepresenting Irish culture. However, this criticism doesn’t seem to have affected the holiday’s popularity.